While Dr. Paul LaViolette’s research started out as doom & gloom predictions of doomsday cataclysm, various world religions, mystery schools, spiritual channels, extraterrestrial contact, and the traditions of indigenous peoples all point to an end time of ascension, global transformation, and humanity’s rebirth into a higher plane of existence. Even fringe science is beginning to explain the idea of DNA modification due to sun activity and cosmic radiation. What was once purely accepted as New Age mumbo jumbo is now being actively studied and debated by scientists. Scientists: Our DNA is Mutating As We Speak! Although he does not inject himself in to the 2012 controversy, Dr. Paul LaViolette has developed a theory that seems to explain many aspects of the “doomsday” scenario. These ideas were once considered “out there” by many scientists, mainly because they portrayed a world view that was full of apparent chaos and destruction. But in the last decade, his work has been validated — often by his former critics — and scientists are now realizing that chaos and destruction are endemic in the universe . We’ve written about Dr. LaViolette before. Rather than sending readers to another page, we’ll recap some of our highlights here in this article. We’ll focus mainly on how this new understanding of our universe can literally impact our Sun, and in turn, our planet. Let’s begin back in the 1960s with the Apollo 11 manned landing on the moon. On one of their EVA’s (extra-vehicular activities), the astronauts photographed and took samples from some small craters, about 20cm to 1.5 meters across. When they examined the floors of these craters they noticed what looked like glazed donuts. These were actually chunks of moon dirt that were coated by glass. But in 1969, an article in Science by T. Gold  proposed a theory of how they were made. Glass, as we know, is made from melting sand. It occurs naturally near sources of high temperature, such as volcanos and meteor impacts. The atom bomb tests in New Mexico’s White Sands area produced a small “lake” of glass at ground zero. So it was never a question about the lunar glass also having been created by something very hot. Decades passed and this theory didn’t receive much attention. Then, as it often does, the theory got a fresh look by a genius, Dr. Paul LaViolette. He was not satisfied with the source of the glass being caused by a solar blast, mainly because the output would have had to be on the scale of a nova, not just a flare. He envisioned another possibility. Like Earth, our entire solar system has its own atmosphere, called the heliosphere. This “bubble” surrounds the Sun and planets as it travels through galactic space. Like our earth’s magnetosphere, the movement of the heliosphere creates a rounded “head” and a narrowing “tail” (called the heliopause). Actually, it’s more egg shaped (see above). Until recently, astronomers believed that our solar system was a region relatively free from cosmic dust. The cosmic dust and frozen material of space were kept outside this protective bubble. This question was answered on August 27th, 1998 when an unusual 5 minute gamma ray pulse was located just 20,000 light years away in the constellation of Aquila. This may sound like a huge distance, but to astronomers this is just “next door.” The Milky Way Galaxy, for example, is just 100,000 light years from end to end and Earth is just 23,000 light years from our Galaxy’s center. 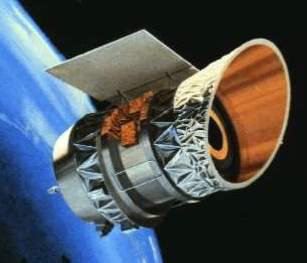 The 1998 event was close enough and strong enough to ionize Earth’s upper atmosphere, damage a couple of spacecraft and disrupt global communication. Since then astronomers place gamma ray bursts from the Galaxy’s core at the top of the list of things we don’t want to happen. The Hopi are an Native American Indian tribe who have not sold out or assimilated in our modern culture. They view themselves as the “keepers of the truth” about our purpose and place in the universe. Anyone who has ever visited their small reservation in Arizona has experienced how private they are — forbidding photographs or copies of their art and culture. For centuries they have kept an oral tradition which describes human history in terms of “worlds” — successive eras which end in natural disasters, culling humanity and initiating a rebirth of civilization. 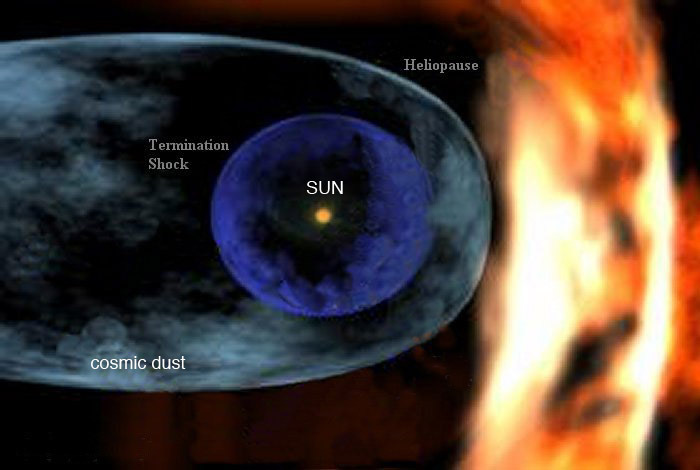 Magnitude 4: A much longer duration superwave cosmic ray burst capable of increasing the cosmic ray levels 2 to 4 fold above the background level and lasting several thousand years, with dust injection into the solar system maintained long enough to activate the Sun into a state of excessive flare activity. Such an event would induce climatic effects more extreme than a Magnitude 3 superwave, sufficient to initiate a global warming period that would terminate an ice age or induce an interstadial. Examples would be the superwave events that ended the Illinoisan glaciation (stage 6) about 130,000 – 140,000 years ago or ended the Wisconsin ice age about 16,000 – 10,000 years ago, the more recent precipitating the Pleistocene extinction. Another event around 34,000 – 37,000 years ago  occurred around the time of the demise of Neanderthal Man. Ice core samples support evidence of the effects from cosmic dust corresponding to the years 11,880 to 11,785 BCE [B]. This evidence, along with the Moon glass, the presence of cosmic dust and the abrupt and atypical end of the last ice age — all point to an intimate relationship between extreme solar activity and gama radiation from the Milky Way Galaxy’s center. The magnitude 4 event attributed to 34,000 to 37,000 years ago is a bit confusing and seems to be precipitated by an event closer to 38,000 years ago. In fact, there are several spikes which do not appear to fit any cyclical pattern and suggest that other unknown factors could also influence Earth’s climate. If we assume that 2012 will be one of these cycles, we then have about 14,000 years from the last huge Galactic Super Wave event. It might be helpful then look at what happened 14,000 years prior to this last Galactic event — 28,000 years ago [D]. Yes, there is a spike there but it is followed by another one a thousand years later. Again there seems to be other factors involved. Let’s go even further back in time. The chart below shows the temperature variation for the last 420,000 years, taken from Antarctic ice core samples. Each vertical line measures 10,000 years. While there appears to be some pattern over large scales of time, no dramatic periodicity of 14,000 years can be seen . So while Dr. LaViolette’s theory of cosmic dust may be helpful in understanding the erratic behavior of our Sun, and its consequences with Earth’s stability, the idea of a Galactic Super Wave being involved with the 2012 “doomsday” is not yet definitive. The image below was made by the Fermi Telescope. It reveals a never before seen structure coming from our Galaxy’s center. In fact, there are two gigantic bubbles which are emitting gamma and x-rays and seem to indicate that an enormous explosion has happened. Active galaxies are those with unusually bright centers that show evidence of particle acceleration to speeds approaching that of light itself. In 1943, astronomer Carl Seyfert described the first two types of active galaxy based on the width of spectral lines, a tell-tale sign of rapid gas motion in their cores. At the center of each active galaxy sits a feeding black hole weighing upwards of a million times the sun’s mass. Through processes not yet understood, some of the matter headed for the black hole blasts outward in fast, oppositely directed particle jets. This could be what we are seeing in these latest images of our own Galaxy. The problem with understanding the cyclic periodicity of solar “doomsdays” derives from the fact that our Sun is travelling through a local and galactic environment. Within the arm of stars and interstellar gas and dust, our solar system is moving through many different densities of space. But the local cloud is itself inside something called the “Local Bubble” which is much larger and hotter. How hot? It’s over a million degrees kelvin… and we’re heading straight at it. The ribbon that astronomers first noticed is actually the boundary where the Local Interstellar Cloud ends and the Local Bubble begins. It’s a strange region full of energetic neutral atoms (ENA). These atoms are born out of ions (protons) speeding from the very hot Local Bubble when they exchange charge with the relatively cool atoms “evaporating” from the Local Interstellar Cloud. The newly created ENA have no electrical charge and therefore can dash freely in straight lines from their birth site, oblivious of the impeding magnetic fields. Some of them reach Earth orbit and are detected by IBEX. What possible effect will the ENA have on our Sun? We’ll discuss some strange new particles already coming from our Sun’s core that could not only impact the Earth, but could even alter our DNA… next time on viewzone. 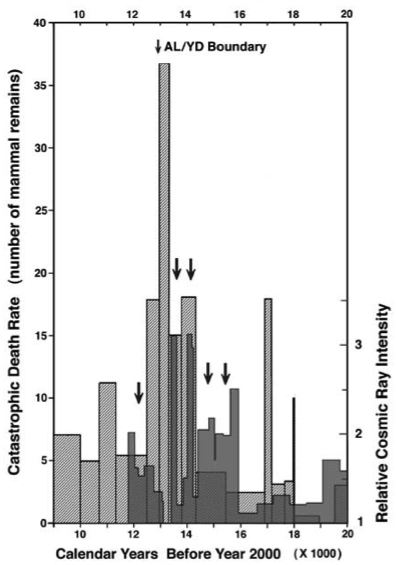 Beryllium-10 results published by others in the 90’s did show there to be evidence of elevated cosmic ray background radiation levels around this time as well as on earlier occasions, thereby supporting my proposal that superwaves have passed through the solar system recurrently. 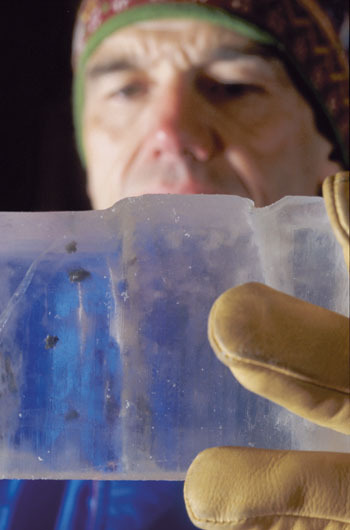 My cosmic dust study was the first to look at cosmic dust levels in ice age ice. Some researchers did challenge my findings but I showed their criticisms to be unfounded. My results were paradigm shifting and conservative elements in the cosmic dust scientific community were not ready to give up their long held view that cosmic dust concentrations in the solar system do not vary appreciably. Another study looking at levels of cosmic dust “smoke” in ice did support my findings of increased levels during the ice age. There are more recent reports by Firestone et al. of high levels of ET material in sediments dating from around 12,900 years ago. Also high concentrations of ET nanodiamonds have been reported in ice from around that time. But others claim not to confirm the findings of Firestone’s group. Since the time of my cosmic dust study no one has undertaken a detailed cosmic dust analysis of polar ice during the period 10,000 to 16,000 years ago to definitively test my cosmic dust theory over this time period. My efforts to get funding were consistently blocked by the old school contingent. The gamma ray burst discussion is not directly relevant to the superwave theory. So you need to correct that as well. They generally originate from evolved X-ray stars. Superwaves on the other hand originate from massive galactic cores. Keep in mind that I am opposed to the black hole theory. I view these objects, not as matter gobbling black holes, but as massive stars that create and expel prodigious quantities of matter and “genic” energy. Although gamma ray bursts could be lethal if they were to originate sufficiently close to the earth, they typically last no longer than a few minutes and so would not be involved in altering climate or affecting the Sun. Superwaves on the other hand can last anywhere from decades to thousands of years. “Working with others, we have done Fourier analysis of the Vostok Be-10 record as an indicator of past cosmic ray events. This indicates a recurrence on timescales of ~5700 years, 11,500 years, and ~28,000 years plus large error margins. The values I believe are posted on the starburst website. It isn’t possible to do an accurate check for very long duration cycles like the 100,000 year cycle since the Vostok Be-10 data does not go back far enough. The data does indicate we are overdue for a superwave event at present. It is a bit misleading to infer that the superwave cycles do not match the climatic cycle periods in the data you show. Actually, the 26,000 year Milankovitch cycle has been known for some time and this matches within the error of determination the 28,000 year Be-10 cycle.” — Paul LaViolette. PART TWO: Is the Sun emitting a new particle? In previous discussions in this series, we have shown how scientists are reluctant to let go of paradigms. That’s not necessarily a bad thing. It forces new thoeries to provide a better explanation of how things work and cautiously advances our knowledge and understanding of the universe. One of the basic paradigms in modern physics has to do with atomic decay. This refers to the action whereby unstable atoms shed particles in their nucleus to make them stable. We know much about this decay and about which kinds of atoms shed which types of particles. We even know how long it takes for a certain mass of unstable atoms to shed these particles. This is known as the rate of decay and it is considered to be very stable and predictable. But we don’t know precisely when this decay will happen. It’s always random. A chunk of radioactive cesium-137, for example, may decay at a steady rate overall, but individual atoms within the chunk will decay in an unpredictable, random pattern. Thus the timing of the random ticks of a Geiger counter placed near the cesium might be used to generate random numbers. Random number generators are used all the time in scientific experiments and in computer science to make cryptograms. A typical atomic (quantum) random number generator measures the bursts of particles being thrown off by radioactive material. The detector measures the time between the bursts and uses this measure in a mathematical formula to arrive at a random number. The rate of decay for various unstable atoms has been documented for decades and is assumed to be unchanging. But that assumption was challenged in an unexpected way by a group of researchers from Purdue University who were, at the time, more interested in random numbers than nuclear decay. 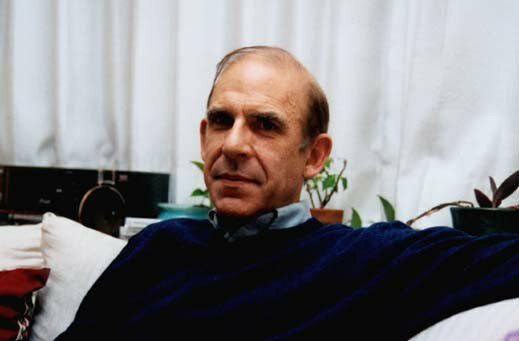 Ephraim Fischbach, a physics professor at Purdue, was looking into the rate of radioactive decay of several isotopes as a possible source of a quantum random number generator. He began his investigation by reviewing the recently published decay rates for various unstable elements and noticed something odd — they did not agree with each other! Reviewing the data collected at Brookhaven National Laboratory and the Federal Physical and Technical Institute in Germany, he noticed that the reported decay rate of silicon-32 and radium-226 showed a seasonal variation, being slightly faster in winter than in summer. These findings strengthened Fischbach’s suspicion that the strange swings in decay rates were caused by the Sun. The swings seemed to be in synch with the Earth’s elliptical orbit, with the decay rates oscillating as the Earth came closer to the Sun and then moving away. Was this fluctuation real, or was it merely a glitch in the equipment used to measure the decay? Could the equipment be influenced by the change of seasons, with the accompanying changes in temperature and humidity? While scientists were pondering that data, another anomaly was found. On Dec 13, 2006, a solar flare sent a stream of plasma particles and radiation toward the Earth. Purdue nuclear engineer, Jere Jenkins, was busy measuring the decay rate of manganese-54, a short-lived isotope used in medical diagnostics. He noticed that the decay rate dropped slightly about 36 hours before the flare began and returned to normal when the flare was finished. Jenkins first thought was that this phenomenon could be useful in predicting solar flares which could help prevent damage to satellites and electric grids, as well as save the lives of astronauts in space. But the mechanism involved in this phenomenon was bizarre. The decay rate aberrations that Jenkins noticed occurred during the middle of the night in Indiana — meaning that if it was something produced by the sun, it would have had to travel all the way through the Earth to reach Jenkins’ detectors. What kind of energy could do that? Jenkins and his associate, Fischbach, concluded that the only particle capable of penetrating the earth and coming from the Sun was a neutrino. Neutrinos are almost weightless particles famous for flying at almost the speed of light through the physical world — humans, rocks, oceans or planets — with virtually no interaction with anything. Critics didn’t want to believe this phenomenon was valid. In a series of papers published in Astroparticle Physics, Nuclear Instruments and Methods in Physics Research and Space Science Reviews, Jenkins, Fischbach and their colleagues showed that the observed variations in decay rates were highly unlikely to have come from environmental influences on the detection systems. They were real. The suspicion that these anomalies were possibly related to solar neutrinos was made stronger when Peter Sturrock (Professor Emeritus at Stanford), suggested that the Purdue scientists look for other recurring patterns in decay rates. As an expert of the inner workings of the sun, Sturrock had a hunch that solar neutrinos might held the key to this mystery. As he expected, the Purdue researchers noticed the decay rates vary repeatedly every 33 days — a period of time that matches the rotational period of the core of the sun. The usual changes on the surface of the Sun are in 28 day cycles. The core rotates faster than the surface. 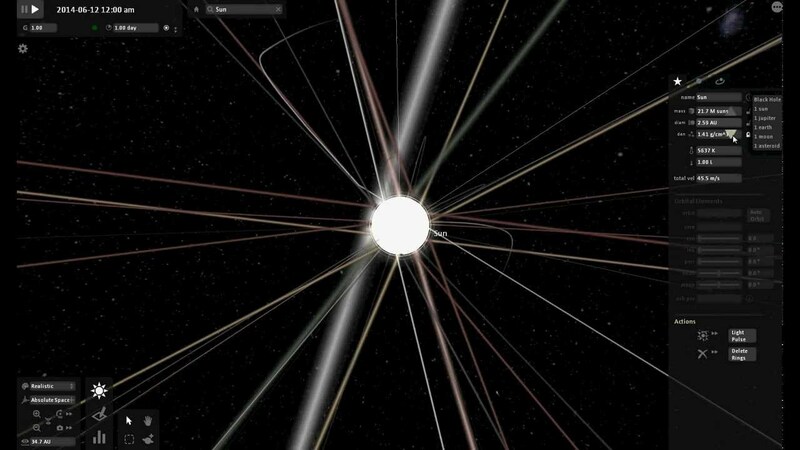 The solar core now appears to be the source of the decay anomalies and the strange neutrinos. But how? Neutrinos aren’t supposed to work like that. A neutrino (Italian, meaning “small neutral one”) is an elementary particle, meaning that it is not made up of smaller particles, such as quarks etc. In this regard it is like an electron and photon and unlike protons and neutrons (which are composed of quarks etc. ).Neutrinos have almost no mass and no electrical charge. This allows them to behave like “ghost particles” where they usually travel close to the speed of light and are able to pass through ordinary matter almost unaffected. In physics, they are denoted by the Greek letter v (nu).Neutrinos are everywhere. They evolved in huge quantities during the theoretical “Big Bang” that created the universe. Some believe that neutrinos are the “dark matter” that alludes scientists because, even though their mass in extremely small, there are so many of them that their cumulative effect could just be the force that holds everything together .Right now, neutrinos are passing through your body. Although some come from cosmic space (every second, in the region of the Earth, about 65 billion solar neutrinos pass through every square centimeter perpendicular to the direction of the sun), most come from our own Sun. They are a by-product of the fusion process that also gives us heat and light (see the chart below). [Above:] The interior of the Sun is hot enough to strip the single electron from an atom of Hydrogen, which is the simplest and most numerous atom in the universe. It consists of one central proton and one orbiting electron. In Step 1, two protons (i.e. two hydrogen atoms without their electrons) join together releasing their excess energy as an electron (-) and a positron (+) and (0.42 MeV) excess energy. A neutrino is also released in this reaction — the same solar neutrinos that are the subject of interest in our story. The electron and positron particles immediately annihilate each other because of their opposite charges, releasing more (1.03 MeV) energy, and two gamma rayphotons.Very quickly, one of the two newly joined protons changes to become a neutron, causing it to become Deuterium — a form of hydrogen with one proton and one neutron.In Step 2, the Deuterium nucleus joins with another free proton and becomes Helium-3. Helium is the next larger atom after hydrogen. It usually has only two electrons and two protons but, in this form, it has two protons plus a neutron in its nucleus. This process releases excess energy (5.49 MeV) and a gamma ray photon.In Step 3 the two atoms of Helium-3 join together to become Helium-4. This form of Helium has 2 protons and two neutrons in its core. Obviously, the recipe calls for less protons than is required, so two protons are released to begin their subsequent lives in more similar reactions inside the Sun. This is the most common reaction in the Sun (86%).From the creation of Helium-4, there are two other possible ways that these atoms canreact.One [Figure 2, top] involves the joining of Helium-4 with Helium-3, producing Beryllium-7 (4 protons and 3 neutrons), where one of the protons changes to a neutron (creating Lithium-7), releasing a neutrino before splitting again to form two atoms of Helium-4 and a proton. This reaction releases 12.86 MeV of energy and is the second most common fusion reaction in the Sun (14%). The other reaction [Figure 2, bottom] is like the previously described one, except that the Beryllium-7 captures a proton and becomes Boron-8, which then splits to shed a positron and a neutrino, becoming Beryllium-8 before splitting yet again to become two Helium-4 atoms. This releases 14.06 MeV of energy. This is a very rare reaction, happening only 0.11% of the time. This is the kind of stuff that gives headaches to ordinary people, like me. But it is good to know that the production of neutrinos is a part of the Sun’s energy cycle and that these particles bathe us, inside and out, and perhaps are the most numerous particles in the whole universe. It’s also why we should be very concerned if they are suddenly behaving in some way that is transforming matter, since that is what you and I are made from. As we will see, some scientists balk at the idea that neutrinos can be responsible for changes in the decay rate. But what they propose is something even more radical — a completely new particle! If we insist on holding on to our current understanding about neutrinos, there is a possibility that this unexpected effect is brought about by a previously unknown particle emitted by the sun. Atoms of radioactive isotopes are unstable and decay over time by shooting off particles at a fixed rate, transmuting the material into a more stable substance. For instance, half the mass of carbon-14, an unstable isotope of carbon, will decay into nitrogen-14 over a period of 5,730 years. The stable regularity of this decay allows archaeologists to determine the age of extremely old organic materials — such as remains of Paleolithic campfires — with a high degree of precision. The decay of uranium-238, which has a half-life of nearly 4.5 billion years, enabled geologists to determine the age of the Earth. Many scientists, including Marie and Pierre Curie, Ernest Rutherford and George de Hevesy, have attempted to influence the rate of radioactive decay in their laboratories by radically changing the pressure, temperature, magnetic field, acceleration, or radiation environment of the source. No experiment to date has detected any change in rates of decay from these kinds of influence.With so much science hanging in the balance, researchers from NIST and Purdue tested this decay anomaly by comparing radioactive gold-198 in two shapes, spheres and thin foils, with the same mass and activity. Gold-198 releases neutrinos as it decays. The team reasoned that if neutrinos are affecting the decay rate, the atoms in the spheres should decay more slowly than the atoms in the foil because the neutrinos emitted by the atoms in the spheres would have a greater chance of interacting with their neighboring atoms.Themaximum neutrino flux in the sample in their experiments was several times greater than the flux of neutrinos from the sun. The researchers followed the gamma-ray emission rate of each source for several weeks and found no difference between the decay rate of the spheres and the corresponding foils. They quickly denounced the whole phenomenon as an unexplained quirk.The problem with this experiment is that the neutrinos causing the observed changes in atomic decay are not those produced by the sample itself (in this case the Gold-198), but rather those allegedly coming from the Sun (which are presumed to be different in some way). So we should expect no change in the two samples, regardless of their shape. They would both be affected by this new (or old) external particle, as are all other observed elements with this same anomaly.Once again, paradigms stubbornly persist and those with an interest in maintaining the staus quo will go to any length to assure the public that things as we know it have not changed. In Part 1 of this series, we explored the Expanding Earth Theory. Perhaps the main objection voiced by skeptics is how any solar radiation, such as plasma, could penetrate the Earth’s core and actually transform matter. I think the phenomenon described in this article reveal that such an occurrence is not only possible, but is likely already a reality. Plamsa contains neutrinos, as well as other types of radiation. Since they can pass through the planet, they can certainly have an effect on the core. As we have seen with the atomic decay anomalies, this effect can transmute matter — causing atoms to become different elements. This anomaly appears to be something that occurs in cycles related to solar activity. Since we are in one of the most predicted active solar cycles we may well expect some epic changes here on Earth. These same changes may also be happening in our bodies, which contain numerous unstable atoms. Are we in a state of transformation that will not only effect our planet — but our species as well?